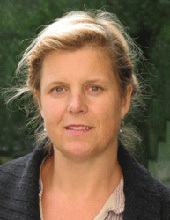 Madelene Ostwald is a researcher at Göteborg Center for Sustainable Development (GMV) and conducts her research at Physical Resource Theory. Her research fokus is o forest and land use with a link to multifunctional approaches where different goals are accounted for. There might be more projects where Madelene Ostwald participates, but you have to be logged in as a Chalmers employee to see them.